Formulated with patent-pending ingredients to provide long-lasting hydration to help restore smoothness and luminosity. Rich in Avene thermal spring water to soothe and soften. Long-lasting hydration helps skin regain its balance. The barrier function of the skin is improved. Radiance is restored. Skin feels soft, looks smooth and healthy. Fine lines are minimized. Instructions for use: Apply to cleansed face morning and evening. 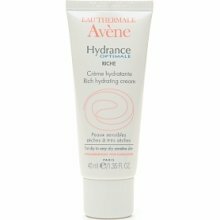 All Eau Thermale Avene products are formulated with Avene thermal spring water and are hypoallergenic and non-comedogenic.